Hello, My Name is Mrs. Maisel! Introducing Mrs. Maisel, a darling pooch searching for her forever home. This scruffy angel is all kinds of perfect. 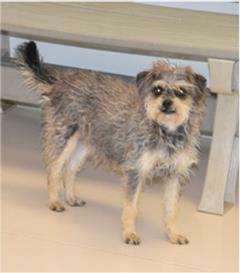 At just two years young, she's perfect for anyone seeking a spirited gal past her wild puppy years. Weighing less than 12 pounds make this cutie the ideal errand-running buddy. With her delightful disposition, she's sure to be the perfect addition to any family with a little love to spare. 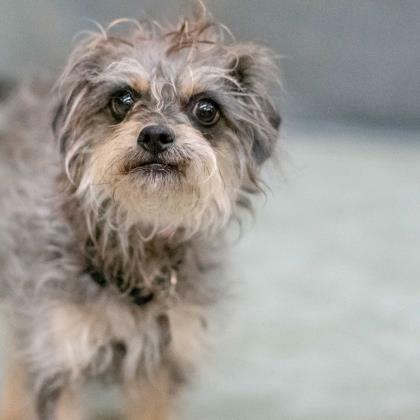 If Mrs. Maisel sounds like the marvelous furry friend you've been looking for, hurry over to meet her today.